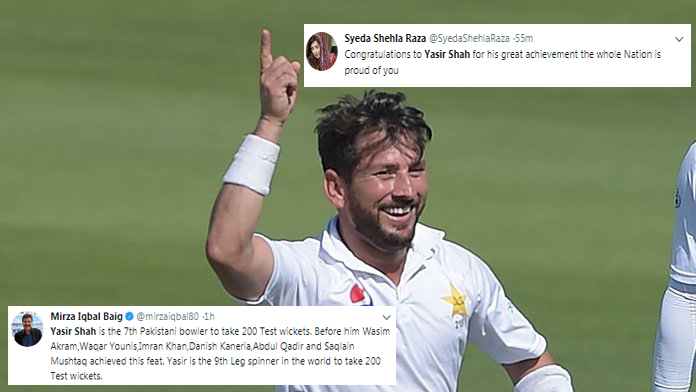 Yasir Shah is the 7th Pakistani bowler to take 200 Test wickets. Before him Wasim Akram,Waqar Younis,Imran Khan,Danish Kaneria,Abdul Qadir and Saqlain Mushtaq achieved this feat. Yasir is the 9th Leg spinner in the world to take 200 Test wickets.